mark. by Avon has released the mark Vinyl Lip Paints. There are 4 shades in the range and they retail for $12.00. 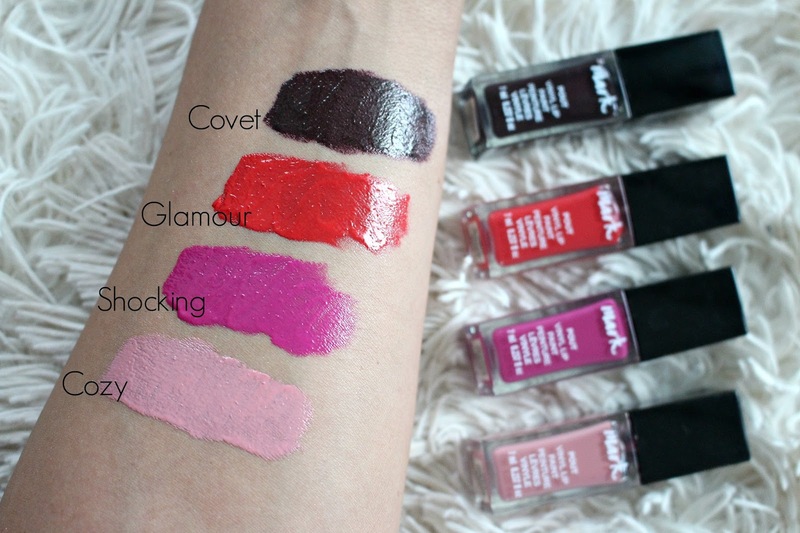 Swatches of the mark Velvet Lip Paints can be found here. "Glide on the luscious lip paint that combines color and a built-in primer. More intense than lipstick, more saturated than gloss." *These products were sent for my review. Links are affiliate.